Built to support the expanding operations of a high-profile client in the oil and gas industry, the Schmidt Logistics Facility is a large-scale warehouse and fast-track logistics development in the Kingdom of Bahrain. Comprising of 3 brand-new halls, the client required a reliable commercial warehouse lighting scheme to keep up with their operations. 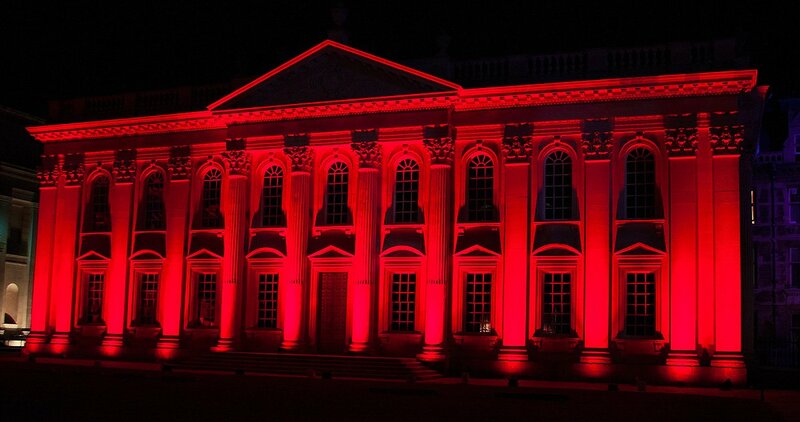 In such a fast-paced working environment, an outstanding lighting scheme is required for maximum safety and productivity. In order to find a solution to meet the demands of the business, Schmidt Logistics required a warehouse lighting design with strict performance and reliability criteria to reduce downtime and disruption. The client stipulated that lighting fixtures should be 100% European design and manufacture and had trialled various lux levels and luminaires from alternative manufacturers providing 300 to 500 lux at floor level without finding a satisfactory solution. A key design criteria of the project was to ensure adequate lighting levels between tall racks which were set only 2 metres apart. This, combined with ceiling heights in excess of 12 metres and restrictions on where the fittings could be mounted posed additional challenges to the Pulsar team. After working closely with the facility’s structural and design teams, we were able to provide the winning system thanks to our ability to customise products to suit any environment. 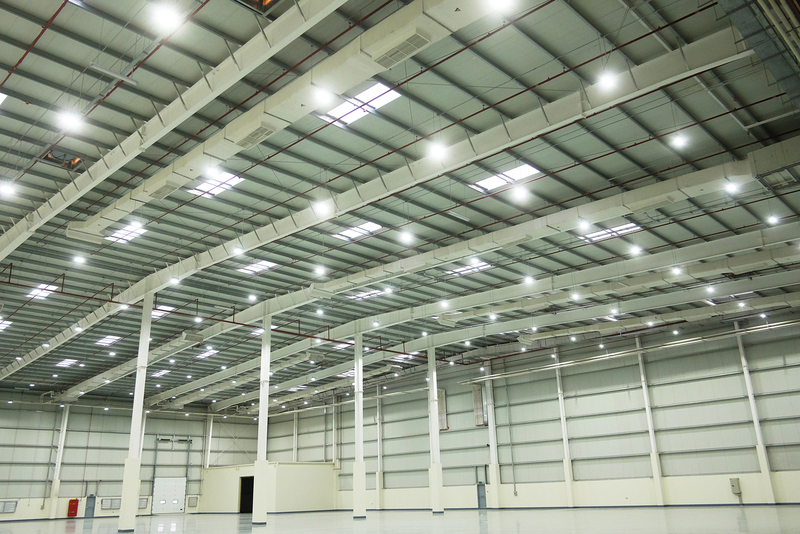 The client selected a Pulsar solution of UniBay high bay LED light fixtures using a combination of beam angles to create a uniform distribution of light throughout the warehouses. These offer multiple fixing options and flicker-free high-efficacy lighting with minimal maintenance making them perfect for commercial warehouse lighting, and exceeding the requirements of the brief in hand. The final warehouse lighting system utilised a total of 241 inconspicuous fixtures, configured in a variety of options to suit the space. To focus the light in between the narrow racking, UniBay 130W fittings with 5000K white LEDs were used. 144 of the fixtures had a ‘Batwing’ narrow lens to focus the light where it was required, while the remaining 97 utilised our standard 110-degrees lens plate to complete the design. This helped to create a uniform distribution of light and eliminate dark patchy areas. Pulsar’s final installation provided a solution that exceeded the client’s brief and expectations. 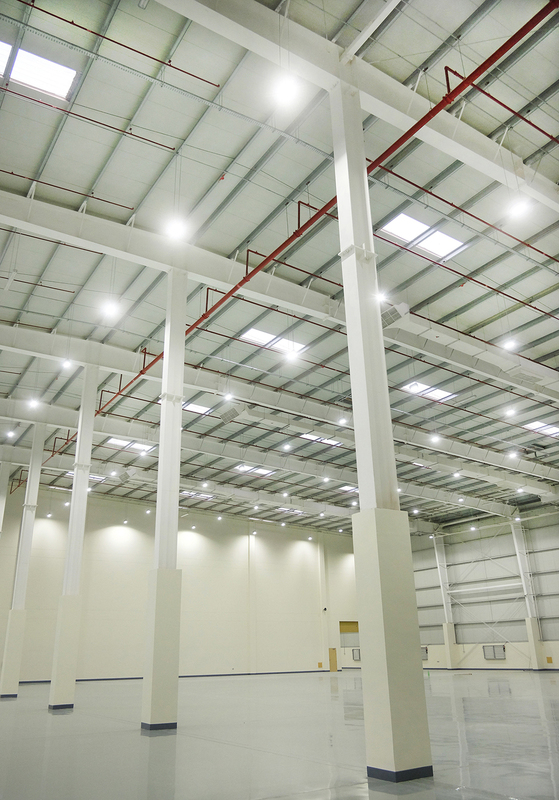 Our UniBay commercial warehouse lighting provided an inconspicuous lighting scheme with an impressive light output while providing significant cost savings against traditional 250W and 400W HPSV and metal-halide solutions. Due to the compact nature and clever engineering of the UniBay range, the fittings could be mounted in the available areas while still providing outstanding lighting between the imposing racks below providing a safe and efficient working environment for the organisation’s fast-paced operations. Backed by our 10-year guarantee and L70 lifetime of 100,000 hours, the now client has a long-lasting and reliable solution that has been proven by our Al Aujan LED warehouse lighting installation in the same demanding middle-eastern climate. We know that Schmidt Logistics’ warehouse lighting will continue to impress for years to come.